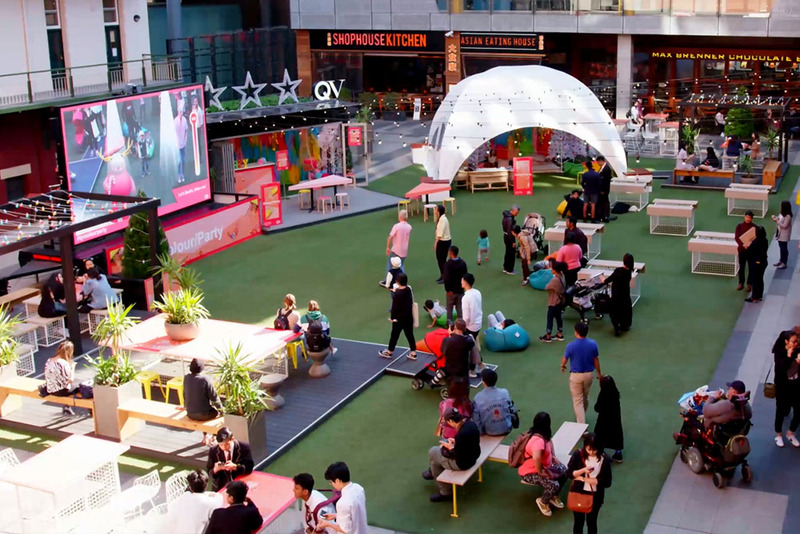 VANDAL partnered with Virtual Immersive to deliver an augmented reality retail experience at QV Melbourne for the exclusive Christmas QV Colour Party 2018. 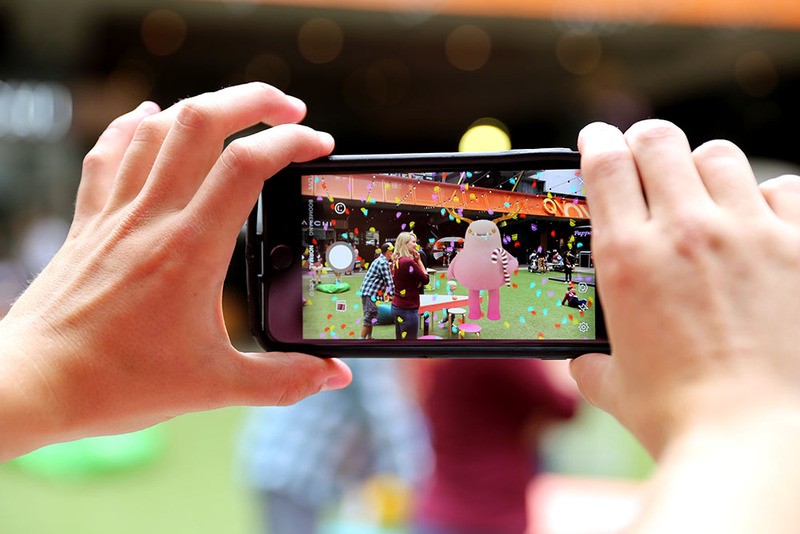 VANDAL was commissioned to execute the QV Colour Party Campaign, Augmented party host Character, Live Screen Augmented Experience as well as the limited time only Facebook filter. 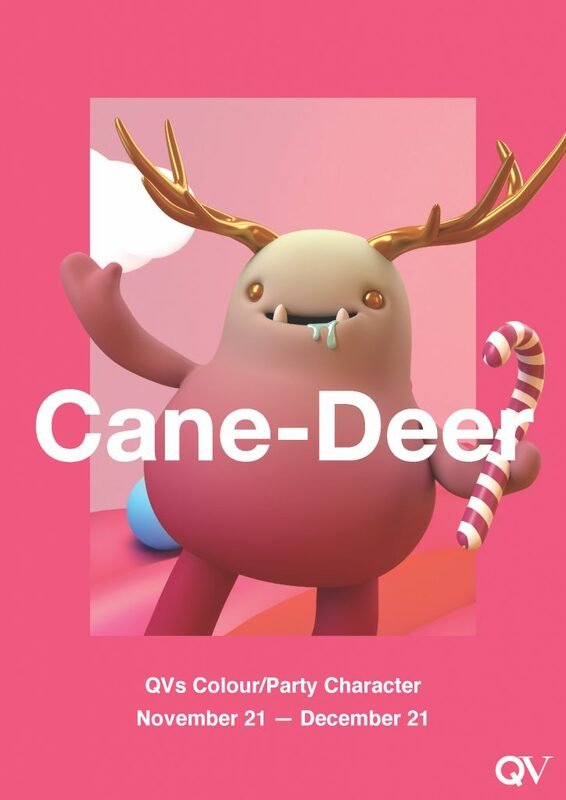 Under the creative direction of VANDAL, QV Cane-Deer, the official party host of QVs Colour Party, was developed and crafted in Augmented Reality. 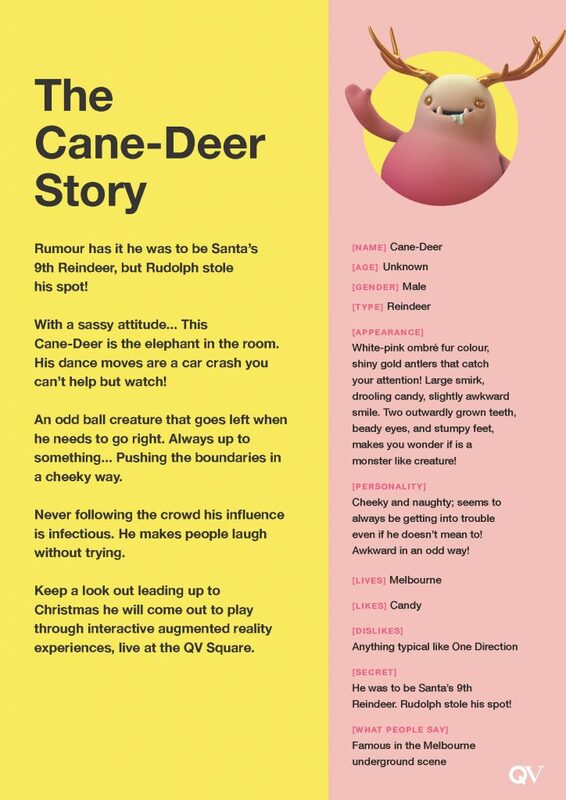 QV Cane-Deer, a jolly dancing Christmas creature is half reindeer and half candy. He came out to play through interactive augmented reality experiences, live at the QV Square. 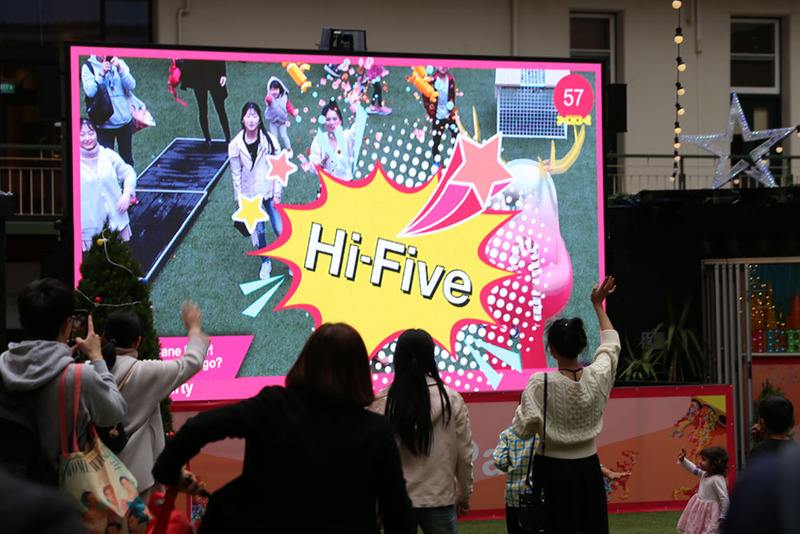 The Live Augmented Experience was activated on QV’s outdoor LED screen and invited visitors to encounter a tangible, interactive experience of augmented technology. 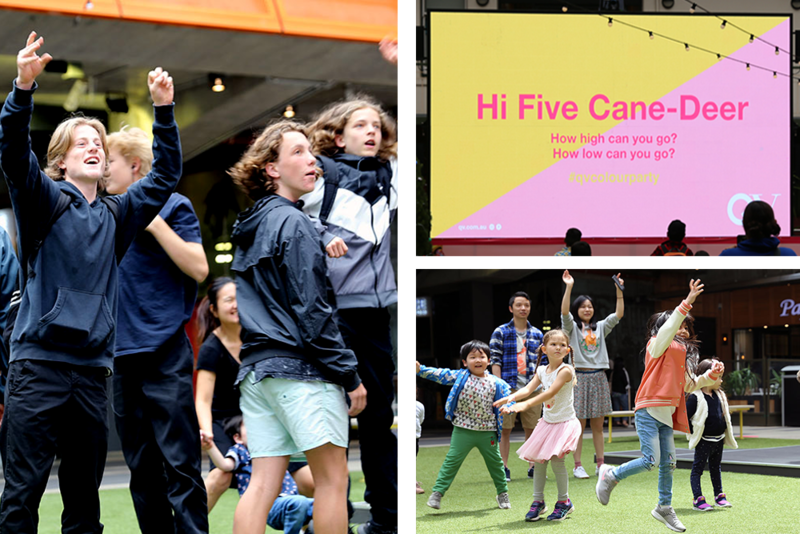 QV Cane-Deer was integrated live onto the screen where he invited visitors to dance, give him a big high five or catch bon bons. 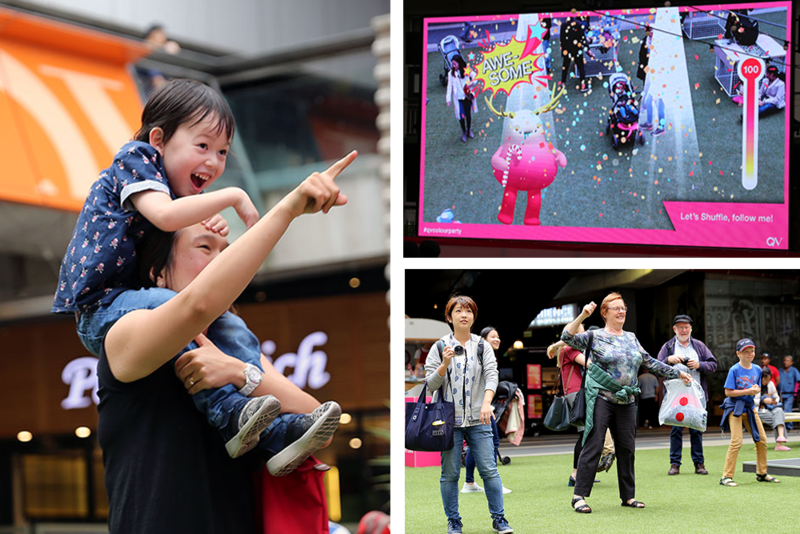 Visitors were then invited to snap a selfie dancing with QV Cane-Deer for their chance to win exclusive weekly prices. For a limited time only visitors were invited to scan QR codes at QV Square to activated a unique QV Colour Party Facebook filter. 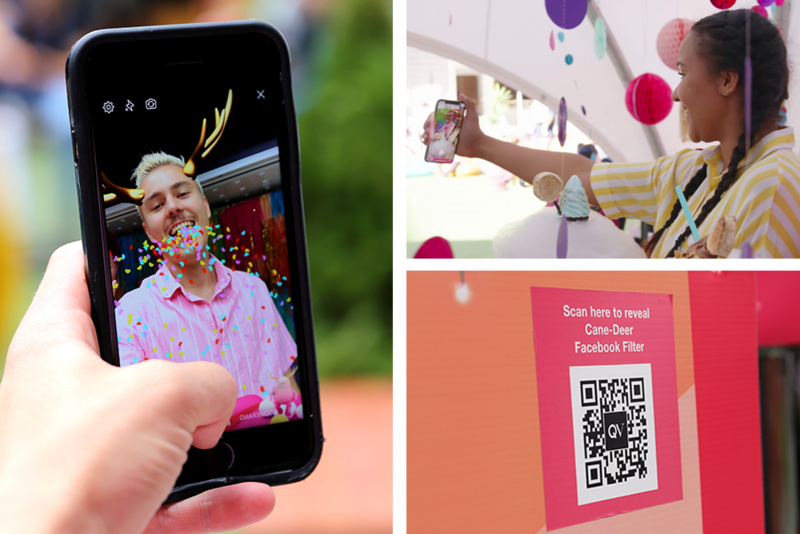 The custom filter allowed users to take photos with QV Cane-Deer in augmented reality, or transform into him by opening the Facebook selfie filter in their smartphone.